Robin Hood: The Legend of Sherwood is a 2002 stealth-based real-time tactics video game developed by Spellbound Studios. It is similar to games such as Desperados: Wanted Dead or Alive and the Commandos series. In the game, the player controls up to five characters in a setting based on the stories of the protagonist, Robin Hood. 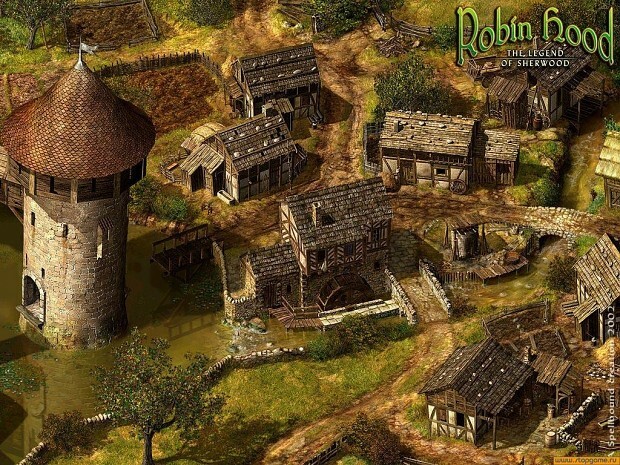 The player can also control Robin Hood's Merry Men, including Little John, Friar Tuck, Will Scarlet, Will Stutely, and Maid Marian. Robin and his crew must evade the cruel Sheriff of Nottingham and his henchmen and stop the machinations of the vile usurper to England's throne, Prince John. However, Robin must avoid killing enemies as much as possible, or he will not be able to recruit as many new Merry Men.